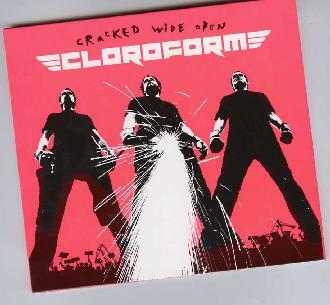 Cloroform - "Cracked Wide Open"
Cloroform are a very unique band from Norway. I have seen the band live and they are really good. This is my first time to hear any of their studio output and I have to say this is quite a strange and cool record. It is a bit poppy, more than I care for but it is also strange, most of the time, so that makes it interesting. I can almost guarantee you have never heard anything quite like this. It is like a strange mix of Primus and the Cleaning Women from Finland with some strange pop. That is as close as I can get to describing it. Check it out! For more information you can visit the Cloroform web site at: http://www.cloroform.com.